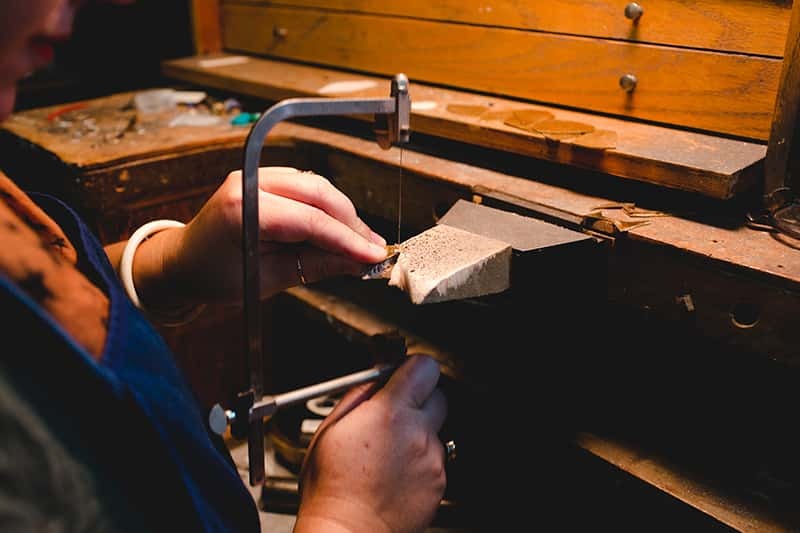 Dive into jewelry-making with this 1-day workshop, focused on metalsmithing techniques and custom design. Each student will make a pair of earrings from start to finish, learning how to create a functional and beautiful design. Layout, transfer, piercing (sawing), punching, stamping will be covered. Sarah will lead a soldering demo, ear wire tutorial and guide students through finishing techniques. Students will leave with a custom pair of sterling and brass earrings, and the skills to keep creating at home.